Enlightenment simply means illuminating one's mind--not only with truth--but also with knowledge. There are two ways of spreading light. 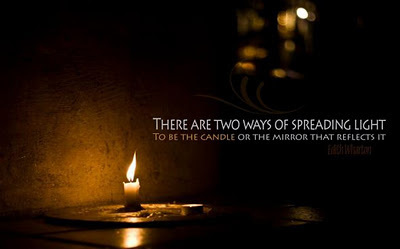 To be the candle, flame growing bright, or the mirror that reflects its brilliance. I had finished reading every single theological work C.S. Lewis had ever written. I read all his Christian writings as well as personal correspondence while he was shifting between philosophical worldviews. I read them all--twice. My first copies of Miracles and The Problem of Pain were so well read, so saturated with highlighter marker, that the pages were so deteriorated that I was forced to buy new copies. Later I would buy the beautiful glossy hardcover of the Complete Signature Classics which collects his main essays on Christianity. As a Christian I had a fairly good idea of what Christianity meant--to me as well as to other Christians. Having been active in Interfaith movements growing up, and having taken comparative religion classes at college, I was well aware of the varying theological viewpoints and different denominations of "Mere Christianity." But even with all the differences Christianity seemed to have a common thread tying every branch of the faith together, and this Gordian knot came together at the intersection where Christ and faith meet. Nothing could shake my faith--I was certain of it. But in my naivete I believed it. Really, my certitude merely reflected the uncritical and sheltered life I had been living in the protective confines of my "Mere Christianity." I had never really challenged any of my individual beliefs head on. I had never scrutinized them. Never analyzed their content. I had never questioned my faith based beliefs. Why would I? Nobody I knew thought differently. My nation was a Christian nation as far as I could tell. C.S. Lewis was Christianity's great apologist--and he had answered all the criticisms head on--and his words made so much sense. His reasoning was clear--his points were eloquent--and his analogies so simple yet profound. If anyone criticized Christianity, I would merely refer them to one of Lewis' works. After my stint in Japan I went back to school and began taking more and more religion classes. I took intro courses on Eastern religions. I took intro courses on Western theology. I took comparative religion classes. I got A's in them all. I was thinking that I would follow my calling and get a degree in theology--so I could defend the faith like C.S. Lewis--with intellectual rigor and a great understanding. I read everything from Thomas Aquinas to Anslem and Aristotle to Lao Tsu. The majority of what I read was either religious based or spiritual in nature. Evidently, the philosophies I learned about only expanded on the ideas that were common to all the various aspects of religion--no more so than Christianity. More and more I felt like God was real--for why else would all the world believe in something like deities and supreme beings if it weren't somehow true? Like the Christian theologian and poet Thomas Traherne, as he writes in his Meditations, I felt "There are invisible ways of conveyance by which some great thing doth touch our souls, and by which we tend to it." God for me was real. As real as anything. But soon enough my faith would crumble. Soon I would have John Locke, Thomas Pain, Joseph Conrad, Thomas Jefferson, and William James all chiseling at my faith from all sides. But first--it took Dawkins. Yes, I am referring to Richard Dawkins--the oh so "shrill" god(s) hating biologist--and his small little, theologically unsophisticated, book called The God Delusion. A quaint polemic against religion. Not even three chapters into the book I got to the part where Dawkins criticized the late great C.S. Lewis and I became so distraught, so enraged, that I threw the book against the wall. It slammed into the wall so hard that you would imagine I was meaning to break the back of that poor little book. If Dawkins was around I probably would have lobbed it at his head. How dare he take a cheap shot at my literary idol. How dare he attack my faith! Why did this Dawkins person have to attack my cherished beliefs when I didn't feel the need to attack his? There was just one problem--I had no answers for the simple, very mundane, criticisms Dawkins was lobbing against my religion. Maybe it was because it was the first real criticism of my faith I had read that The God Delusion got to me. Perhaps it was because many of the arguments and questions Dawkins raised seemed so deceptively simple--and I was confused as to why I had no good answers. I had read the best theologians of Christianity--as far as I was concerned. I had even read the contemporary apologetic materials of modern writers such as Josh McDowell (partly because I was part of Campus Crusade for Christ) and Norman L. Geisler. I had all my bases covered. I was well equipped to answer the unbelievers questions. So why did Dawkins bother me so much? Two things. The first is like I said: I didn't have ready answers for many of his pragmatic concerns. Second, and more importantly, Dawkins is smart. REAL smart. He is an eminent scientist who has devoted his entire life to teaching people about science. Those who criticize Dawkins' book as being theologically unsophisticated have missed the entire point of The God Delusion. It's not meant to be sophisticated. It's like calling a Rambo film a bad art-house flick. You're mixing up your genres. It's not a rebutal for every sophisticated theological demonstration ever devised. What Dawkins does is subtle, yet brilliant, and if you're not paying attention--you'll miss it. He isn't attacking the aspects of religion which he can't falsify. He is merely attacking the parts of religion which--can be falsified. It doesn't need to be sophisticated. He's got science on his side--and I only had, well, a big ole Holy book. When Dawkins points to the faults of that Holy book which so inspires our faith and asks us what's wrong this this thing and that, he is doing what a scientist does. He is looking for the cause and effect. He is looking to see what evidence would exist if such claims were true. 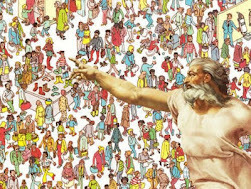 His rhetoric can often distract the person of faith--by making them so angry they throw away the book--but if you think he is merely an evil atheist who is lashing out at religion--although he is that too--you might miss how radical The God Delusion is as a question starter. All Dawkins wants is for you to start questioning. Once you've done that--he's already won. In The God Delusion Dawkins puts forward numerous types of questions. Questions such as, should there not be direct results of cause and effect? If someone prays for a miracle, and that miracle comes true, should they not be able to repeat it? If not, why not? Can faith be considered reliable if miracles are random? Energy transference and repeatable conditions should duplicate the same results, and so you could in theory, test which religious claims are true against those which are not--and systematically weed out the false religions. Why hasn't anyone been able to do this? Why is it that religion can never seem to duplicate the same miracle twice, or for that matter, explain why one religion is so similar to other world religions--while the differences are all pretty well understood. Why does Intelligent Design not explain anything while Evolution seems to explain lots? Why does the Catholic church harbor rapists yet promote themselves as the emissary and voice on Earth of an all loving God? Why does the "love" which Christians so often preach is the basis for their religion always seem to be perverted into intolerance and hate on a global scale? Are all Christians bad human beings? Then why isn't everyone equally as bad or good? 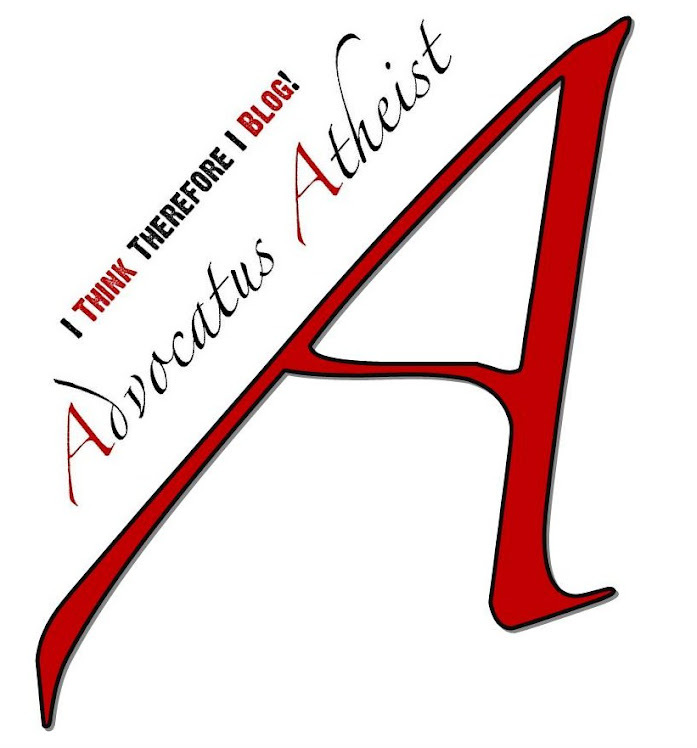 How come there are so many good atheists? Why are atheists just as good or bad as Christians--when they cannot claim any revealed truth or direct moral guidance beyond their own faculties? Then Dawkins turns to science to show us how science, although it cannot answer all the moral questions, it answers the practical ones far better, and with better clarity, than religion. In the end, Dawkins has hit religion with so many questions that the book is a little jolting. It forces you to question. Only the most "delusional" would be unable to overcome their confirmation bias to get the full effects of the book. For them, they would merely see it as "unsophisticated." 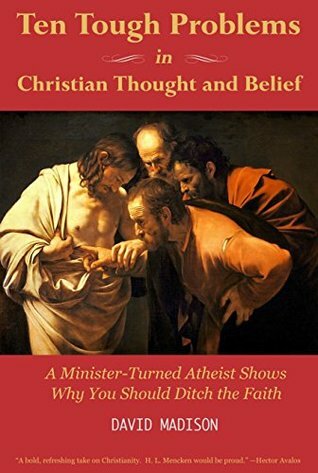 Even if you have answers for many of the questions Dawkins raises, and some obviously felt they did as a fury of Anti-Dawkins apologetic books hit the Christian book shelves, but their answers were wanting. Have you read them--because I have, and they just don't stack up to that "unsophisticated" book Dawkins wrote. If anything, the one answer Dawkins shows is entirely inadequate is the answer which affirms God did it. Dawkins isn't concerned whether you believe God did it or not--he wants you to prove it. Once you realize you that the burden is squarely on your shoulders--The God Delusion becomes infuriating. I thought to myself, how dare he force me to prove what I already know exists! It's inconceivable. Like a computer virus--Dawkins razor like rationale infiltrates your mind like a Trojan horse and then spreads out and attacks all your worries and increase your doubts ten fold. Question... question... Dawkins taunts... question everything. I was so infuriated after reading The God Delusion that I went online to listen to these pompous, so-called intellectual, atheists speak. I wanted to hear it from the horses' mouths. All four of them. Their eloquence and sophistication was far more than I expected--and every time I listened to them talk I seemed to learn something I hadn't known before. I still didn't agree with their positions, but eventually I came to see that many of their points were valid. In fact, they sounded exactly like the fundamentalist Christians I was used to. They decried organized religion, and so did I. They decried immoral behavior, and so did I! If it wasn't for their dislike for religion--I dare say nobody would be able to tell the difference. Except, there is a difference. All the New Atheists believe in reason over faith. They support the Freethought and Enlightenment traditions of the 17th Century--and with the aid of modern scientific understanding they take it even further. Personal convictions play second fiddle to systems of belief which demonstrate their claims. Religion is the opposite--religion asks you to have faith first and demonstrate your claims only after the fact--and only when necessary--and sometimes not even then. I began reading all the New Atheist's work to better familiarize myself with the arguments of the opposition. If I was going to mount an apologetic defense of my faith, I would have to know the enemy. It was the neuroscientist Sam Harris who I felt made the best arguments, and after reading his book The End of Faith, I slowly began to question my own religious beliefs and how they fit into the world. By this time I had graduated college and was headed back to Japan to teach on JET Programme. Once again I was re-united with my love Sayaka, and she immediately accepted my new found skepticism. She embraced it--and I continued to investigate and refine my thoughts on the subject. Something I am still proudly doing. And I will continue to do for a long time. I am not looking for an ultimate truth. I do not expect to learn everything or to find answers for all the questions that I have. What I do know is that after three decades of religion--it left me with no answers. Or the answers I did have turned out to be unreliable--or were always promised to me at some later date. My first crisis was sparked because of an emotional reaction to the unjust teachings of my religion and the cognitive dissonance it bred. My second crisis would end in the startling realization that my faith had failed me. That it couldn't hold up against the limitless questions, questions which sparked doubts, and doubts which left empty gaping holes in what I thought I knew. Everything I discovered only reinforced the need to be even more skeptical and ever more cautious in my reasoning--and this would prove to be the end of faith for me. Suddenly I had come so see what all the fuss was about. Like any deconvert, I went through the various stages. The anger. The backlash of friends and family writing me off and in condescending fashion acting like I was never a true Christian--even though by their lackadaisical faith based practices you would hardly know them to be Christians at all. I went through my worry phase--scared at not having any ideology to latch onto phase--and I went through my all religion is evil phase. About a year after I had lost confidence in my faith I decided I would identify myself as an agnostic. Now I am merely settling down--having become comfortable with my lack of belief--and am maturing in my atheism. Religion is no longer evil to me, although I do view it as a threat and an impediment to clear reasoning. But my journey toward understanding continues and instead of going to Church every week, instead of reading from the same old book every week, and instead of getting the same ancient wisdom spoken back to me every week--now I search the uncharted depths of human knowledge. I have learned to seek outside my personal beliefs for answers to the questions I have. I have learned a great deal about researching and fact checking. I have even given myself mental tests to challenge my thinking skills and logic problem solving I do mental exercises. I read voraciously. Everything from science, to history, to philosophy and all the sub-genres in-between, and I am only getting started. Most of all, however, I try to engage in discussions and try to listen to the criticisms being made. Often times the comments and advice I receive helps me reform my thinking and correct my misconceptions. Other times such criticisms and advice can be dismissed for their sheer incomprehension. One day, while I was walking along the river in a small village in Hiroshima Prefecture, I looked down at the beautiful Koi, or Carp as they are known in English, all swimming around in the river. Some were golden, some were black, white, and red spotted, while others were a dark metallic brown. Off in the distance rice patties glistened amid the misty mountains and the morning air was crisp. The valley smelled fresh with the left over scent of early morning rain, and the sun rays warmed my face as I looked out toward the horizon--with no fence but for the sky, I thought to myself. Bob Dylan knew exactly what he was talking about when he wrote those lines. When I was religious I would have thanked God for such a beautiful day, but on this day it felt as though my eyes were truly opened for the first time. I felt as though all this beauty and grandeur made more sense than it ever had before, that it could have happened only in this way because this was such a universe where it could only have happened in such a way. It all became crystal clear to me that this naturalistic view made more sense than to say some magic deity did it because he liked fat goldfish and sunshine. No, I am afraid if God did create it all that everything would cease to have meaning. For such a Creator could just create anything he willed--and he could do it again and again. And again. If he could make it, he could take it away, but then again, he could simply remake it. Things mean more when they are precious and rare, like a gem that you can't ever really put a price on. Or your first love. Or your forever love. These things are special because they only come once. No two will ever be the same. They are the rarest of the rare. Life is a lot like that. Our lives are one time events--our very existence is precious for this reason. If a Creator God existed, he could simply remake my existence in an afterlife, a heaven, but then this life would cease to have meaning. Life seems more beautiful to me without God. On that morning I realized my life, my very existence was precious gift, all the more because it was one of a kind, and I felt at ease. That was the day I realized I had completely grown comfortable with my loss of faith. It was the day I thought, so this is what happens to nonbelievers who go beyond the absence of faith. They find peace of mind in the tranquility and splendor of what they can be a part of--what they can experience--of what they can change if they put their minds to it. Although there were many other factors to my deconversion as well, I only included the main events, so to speak, in order to keep this series of memoirs as brief as possible. I hope you enjoyed this series and I hope you find something helpful in it. If you have any questions about my deconversion or of what I currently believe, feel free to contact me in person or leave comments in the comments section. Atheism Impossible to Argue Against? Quote of the Day: Louis C.K. Quote of the Day: Jesus Wings!